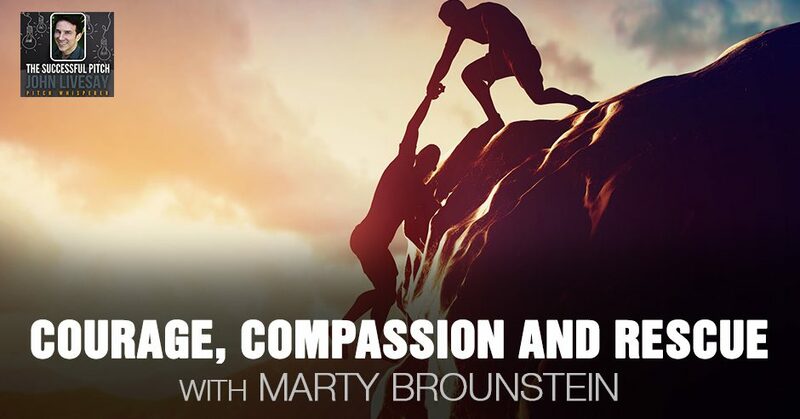 Urging leaders to make a positive difference wherever they are, Marty Brounstein talks about doing the right thing when you find yourself in a situation where it’s fear-based. As a master storyteller, he discusses the power of using stories as a way to teach people, not only engaging them but getting themselves imagine being in it. He shares his book, Two Among the Righteous Few: A Story of Courage in the Holocaust, about a young Christian couple out of Netherlands who saved the lives of over two dozen Jews during World War I. Highlighting the three key takeaways of courage, compassion, and rescue, he relates all that into the present day and ties them into how to be a better leader. Our guest is Marty Brounstein, who is a master storyteller. He’s the author of Two Among the Righteous Few: A Story of Courage in the Holocaust. It’s a true story of courage, compassion and rescue involving a young Christian couple out of the Netherlands who saved the lives of over two dozen Jews during World War II. Marty has been on an unexpected journey himself and sharing the story of how non-Jews and Jews involved in the resistance and rescue during the Holocaust. Delivering storytelling presentations that audiences have found educational and inspirational as any good story does. This is in the eighth year where he’s been speaking about this. He’s based in San Francisco. It’s great to have you on the show. We love storytelling experts. Welcome, Marty. I always ask my guests to tell their own story of origin. Can you go back and tell us a little bit about your own childhood, high school or college? However far back you want to go where you started becoming enthralled with storytelling. I grew up in the Chicago area, which is why now I live in California. The winter’s got me. Early on, I always had an interest and fascination with history. In my early professional life, I was a history teacher. Part of what made history come alive for students is the ability to tell stories. 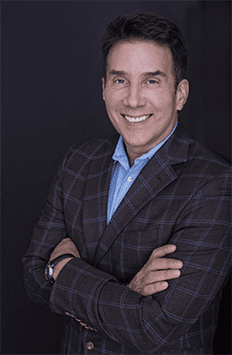 As my career evolved as a Human Resources Executive over 25 years, I ran a management consulting business dealing with leadership development and performance effectiveness. We deliver seminars and even executive coaching. Stories are always part of how you teach. It’s a great way to make examples come alive. In essence, it hit me early on and now I realize it more. The journey with this story is all about storytelling at its best. Let’s double-click on what you did as the leadership development consulting. What lessons did you learn that the audience could take away so that they can become better leaders? One of the biggest things was engage your audience in whatever you’re teaching them, whenever you’re talking to them rather than talking at them. Part of even now when I do storytelling, but even when I did training, I’m often throwing questions to the audience to get them to be thinking about what’s going on. How would they handle it? What do they know about these kinds of situations or this history? Often as much as when I did the training, having them get involved hands on to practice what we were teaching. All of that engagement, the interactive nature of it is what gets, especially adult learners, but even children, far more involved and far more learning than if they’re just sitting back and receiving. When you’re engaging an audience, telling a good story is one way. Getting people to imagine themselves in the story is what I found is the key, especially when you’re giving a case study of someone else you’ve helped and you’re trying to paint a picture as opposed to just presenting a bunch of stats of what you’ve done for somebody else. Can you describe what you have done in your leadership consulting around storytelling as a sales tool? Quite often in the sales side of it is where I’m meeting a prospective client, as I did many times, I would share stories of what I had done with other clients. 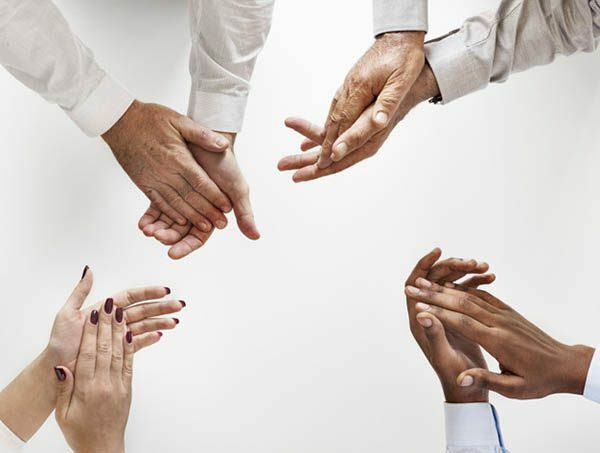 It wasn’t just telling him, “This is what I can do for you, but here’s an example of it of how this client took this service and made something good happen.” Those always resonated for people. In teaching of the activities, the skills and the lessons that are a form of sales because you’re trying to get people to sync, open up and learn new behaviors, the power of stories is very helpful to get people to relate. Often, I would tell people, “Do you know where I get the stories from that I’m sharing with you? They came from other managers and executives just like you, who put into practice these skills.” You’d get some nods around the room going, “This is real.” Part of the power of stories is that these aren’t fictional stories. These are always real stories that I’ve told and still tell now with this one on Two Among the Righteous Few. The phrase that you said there, “Leaders just like you,” is a real great takeaway for the audience to start incorporating into their storytelling so that people can see themselves in the story. One of the questions people have when they listen to a story is, “That’s great for that person, but would that work for me?” If you can paint that picture that they were just like you, they were struggling, they had some challenges, then they overcame those struggles. I was their mentor or Sherpa up a mountain and together, we were able to get them to a place now and that things are great. Do you have some thoughts on the structure of what makes a good story? This journey with the special story I’m doing, Two Among the Righteous Few, I had a public storytelling presentation event. I had some audience members come up afterwards and going, “I don’t know if I could have done it with Frans and Mien Wijnakker, but I was thinking about it.” It’s the whole idea of putting people inside the story. I’m so excited when I hear that, and I often say it’s not whether you would have, hopefully you never face with the life and death risk they were, but the idea that you were thinking about that, wonderful. Then you’re showing that you have an awareness and an openness. That’s the real key. To your question about the structure of a story. A story is similar to any good presentation. There’s an opening to get the audience attention. Then you relay, “Here’s what happened,” and then you’re doing some wrap-up. Especially with stories, whether it’s in a sales situation, a teaching situation, as you do that wrap-up, you’re connecting it back to the people right there. How do you apply this? What does it mean to you? It’s relevant. Stories are somewhat like jokes in the same way. When you tell it and it doesn’t fit into the context of what we’re talking about, it falls flat. Nice story, but big deal versus there’s a point to it at the end that connects to people and that’s always the key part. Otherwise, it’s interesting information but it didn’t emotionally connect with them. It has to make sense to them that it’s relevant to what we’re dealing with here. How did you come up with the idea to write this book? What inspired you to write it? I often tell people, this is a story I stumbled into by accident on a trip to the Netherlands with my wife in May of 2009. The story is about this young Dutch Christian couple named Frans and Mien Wijnakker. During World War II when their country was under the brutal occupation of Nazi Germany, they got involved but most did not. In the end, they saved the lives of over two dozen Jews from a certain death. It’s a story of courage, compassion and rescue. I had heard of their name and the keyword in the book title is the word, righteous. They received a heroic honor called Righteous Among the Nations, which is the honor from the Holocaust museum in Yad Vashem, Israel for the non-Jews like Oskar Schindler. For those Jews who risked their lives to save the lives of Jews in the Holocaust. Not many did it that’s why the title is Two Among the Righteous Few and not Two Among the Righteous Many. Out of curiosity of my wife who has an element into this story, I got to meet the five Wijnakker children. Frans and Mien are not alive, but their five children are. In that meeting by accident creates the sparks as once I knew of that honor, when I found out that that’s what their parents had received, I was blown away. I understood what that meant. You don’t get that for showing up, something heroic happened. One thing led to another and eventually, not only did I write a book. Early in my eighth year, was my event number 646. It’s taken over our lives but in a very positive way. Let’s talk about each one of these three words: courage, compassion and rescue. Let’s take each one and describe your definition of it and then pull something from the story that showed unexpected courage. Courage, bravery are in simple terms, the ability to stand up for what you believe or they see the need for help when it may not always be easy. It certainly may not always be popular and there may be risk involved. Certainly, for Frans and Mien Wijnakker, if you’re going to get involved because the consequences were dangerous to deadly. The Nazis didn’t kid. If you got involved to try to help the people they are most after, Jews, you had the same consequences, “We’re going to send you to the concentration camps,” or in some cases, executes you. Compassion, that’s the ability to care for others beyond yourself. I do workshops out of this story in workplaces under the title, The Courage and Compassion to Do the Right Thing: A Lesson in Making a Positive Difference. We have people apply the lessons from the story in their jobs and compassion is one of those things that we look at to what you’re asking. I often say, “If you could sprinkle the powder of compassion on everybody you come into now and it would forever be their behavior, what a wonderful country we have.” It’s so easy to think about yourself or maybe those near to you, but to be able to show that you care about others beyond yourself is powerful. Frans and Mien did that to the highest degree. All these people that they helped, they knew none of them. They had never met a Jewish person in their lives before they were Catholic and yet they thought that you should care for people in dire need. That teaches a wonderful lesson. The word rescue, and this is to the highest degree, was helping people to be safe, helping people to escape danger. At the height of this, they often had ten Jewish refugees in their own home with their four little children. They created a rescue network in the little towns of their countryside area where they would place Jews with people there. Over two dozen got saved because of their courage, compassion and rescue efforts. Since you’re doing workshops on this, do you have an example or a story on an actual company where they’ve learned these lessons of courage and compassion? How does it relate? Does it relate to the culture of the company or does it relate to how they treat their clients and customers? What’s neat about the workshop is I’m going to give you an example that happened with a company. The theme of making a positive difference is I let them take that theme that’s relevant to them. For some of them it’s their core values they want to reinforce. For some, it’s the client service they want to reinforce. In other cases, their leadership. It’s a diversity and inclusion. Sometimes, it’s all those aspects that are important to them. I did a company as an example. They had a management retreat, so I was there working with the management team of 25 or so that they had there and often we have bigger groups. After the storytelling, which they certainly were very inspired, “How do you apply the lessons of the story into your leadership practices on the job?” then we let them draw those conclusions and apply it. In the end, they have to put down a commitment to go forward. The discussion was so rich. It was neat to see the things that came out and we even took it a little deeper because they wanted to do more than that. Better Leader: We know it’s not easy, so recognize that but don’t let it eat at you. We looked into leadership behavior that makes a positive difference. We examined some things with them about that that you could just see people in their comments and in their discussions in the small groups, very reflective. Including as we were closing to share some reflections, the general manager, so the top executive in this group speaks up. It was so neat to see and talk about some of her own behaviors, the things that she does, and the things that she has to be more aware of to make her leadership even more have a positive difference. I couldn’t have paid somebody better than that comment at that time as we were getting ready to close. You could see what the power of this was doing for them, and so it was wonderful to see the reception we got from it all. A lot of people in the business world think that the only way they can motivate, let’s say their sales team is fear-based, if you don’t make your numbers, you’re going to get fired. It is pressure. The opposite of fear is courage. What lessons or advice do you have for people that might find themselves in a fear-based results only driven place of employment to find the courage to not let fear overtake their life in their career? If you’re in that environment, now you probably have more choices if you have those skills and experience. If you’re sticking it out, it’s not to lose focus on what you’re here to do your job for. If it’s sales, sure you’re there but sales is more than just driving numbers. It’s about giving the clients and customers that quality service. If you say that’s your focus, more than likely the numbers will come with it anyway. Sometimes you have to block that out. One of the strategies when I was doing my management consulting business that still comes up in this workshop too as advice is nod and smile, which is the whole idea. Let them rant and rave, nod and smile. Go back and do what you know is the right thing to do, but stay focused on doing the right thing. Don’t use it as a de-motivator to say, “What’s it going to matter anyway?” You have to do it for yourself because sometimes you’re not getting the positive reinforcement you wish. Don’t let it stop you. I want to ask you about compassion for yourself when you’ve had a bad day or you’re getting discouraged and then compassion for other people, whether it’s your coworkers or clients. Tell us what tips you have on how we can be more compassionate with ourselves as a starting point. There’s the, “Be kind to yourself.” Sometimes in our heads, we can get all that negative self-talk going if we’re running through some rough patch or people are frustrating. Then you’re browbeating yourself and that doesn’t get you up. There’s that recognition, “What’s going on?” Sometimes a phrase I use is, “Turning the corner.” Put those things aside, go around the corner, stay positive, stay patient. We know it’s not easy, so recognize that but don’t let it eat at you and get you down because that will show. The other part is compassion with their team members. To me, it starts with if you’re a professional as you do your job and it’s also recognizing these people I work with, some I’m going to like more than others. I don’t have to bring any of them home. I need to have good working relationships. If I’m taking steps to consistently treat people with respect, to listen to where people are coming from and not be quick to pass judgment and I’m there when we have challenges to focus on problem-solving. You show that you have compassion then. You show that you can care for people. You show that you can work with people of all types. That’s when you’re performing at your highest level as well. The third one is rescue. I gave a TEDx Talk called Be the Lifeguard of Your Own Life. Unlike in a hurricane, no one’s going to come and rescue you if you don’t evacuate. What are your thoughts on rescue in the corporate world? In essence, we don’t have life and death situations in terms of the rescue people may think of. I look at it more of the willingness to help. If you see others in need, whether they’re asking for it or not, it doesn’t mean you go and pose it. If you can do things to cooperate, to lend an extra hand, sometimes help is very simple. You responded to somebody’s email rather than leaving them wondering did you even get it. You can say, “I can introduce you to such and such source who could be the best one to help you with your situation or thank you for opening that door.” Help can be often done in simple ways. When you ask that question, people often say, “How can I help you?” Mean it. Sometimes people say it and it’s like, “Yes,” because you were trained to say the words, but you have no meaning. There’s no sincerity and you don’t want to be bothered. If I need to put something down to come over to help you and do something to get it done, it makes it easier if I need to ask you for helping me. It’s all about building that win-win relationship. Help can be as simple as asking, “What can I do for you?” It’s so profound yet simple and yet often overlooked unless it’s this grand lifesaving rescue we don’t think any little bit of help makes a difference, but it seems to me you’re saying it does and that it’s cumulative. I find one of the most simple and powerful forms of help is their willingness to listen to others without judgment. Sometimes what people most need is somebody who’s supportive. Somebody that I can bounce ideas off to vent a few frustrations and it doesn’t come back to haunt me. That’s very helpful when you can do that for people. I’ve seen it in action myself when I’ve helped clients win that clients they’ve lost because the client feels like, “They didn’t listen to me and things went off track. Now, this project isn’t done on time. I’m mad. I’m not going to work with you anymore.” The ability to listen without judgment, to let them vent, understand, put your empathy hat on as I call it from their perspective of how frustrating it was to not feel like anybody was listening to the warning signs before it was too late, it allows you to be compassionate, rescue the account and save it from being lost. The other big takeaway that you’re talking about here is emotional IQ. Do you have any thoughts around this whole courage, compassion and rescue as it relates to having emotional intelligence? It does relate as you’re getting it very well there because there’s the intellectual intelligence. You have a good knowledge but do you have, in simple terms, people’s skills? Do you have the skills to get along? Can you understand where other people are coming from? Can you accept the differences and not see them as flaws or things that run from? All of that shows the emotional intelligence. The big part of that is the self-awareness of your own behavior to put yourself in check, to tune in to cues that are happening, both verbal and nonverbal, so that you’re consistently respectful with people. When we listen in the news, the political things happening and the #MeToo Movement, you get that emotional IQ was very low, but the thirst for power was very high to take advantage of people. We don’t need any of that and certainly not in workplaces. We need professional positive environments and emotional IQ was key for making those kinds of environments become real. What I love about what you did there was take something that happened in World War II and you brought it out into present-day situations of courage and rescue, and the courage it takes to say something to someone who’s powerful. Then it becomes cumulative again. Where there’s one, there are usually many. You’re not the only one, but at the time you think you’re the only one. In your book, were they aware that other non-Jews were helping the Jewish people stay safe or do they think they were the only ones taking that risk? That simple question, “Would you be willing to help?” I also find that when you ask people, “Would you be willing to give me your opinion on something or your advice on something?” It’s amazing how that opens the door to have a conversation that’s collaborative and productive. The power of questions, which fits well into stories. I start my storytelling presentation on this story, by asking my audience three questions to get them thinking, and that puts them into the story. If they want to go into it, it starts. I have people at the very end as they come up to visit afterwards often say, “Those three questions made me keep thinking through your whole presentation.” I’m like, “I’m glad you were thinking. I’m glad it sparked that awareness.” Luckily, we don’t have to make those kinds of decisions about life and death. You make those decisions and translate it into your behavior. Better Leader: Do not turn a blind eye to misconduct. If one could get away with it, more will do it. What are those three questions? You’ve got us all intrigued with an open book? Question one, would you be willing to help others whose lives are in great danger? I pause and say, “Think about that,” because that’s a tough question. Question two, would you be willing to help others whose lives are in great danger knowing if you got involved, you would probably put your life in great danger? Would you still help? Question three, would you be willing to help others whose lives are in great danger knowing if you’ve got involved you’d probably put your life in great danger, when these people who most need the help, everybody else wants to hate them or be indifferent to their plight, would you still get involved and help? I pull it together. 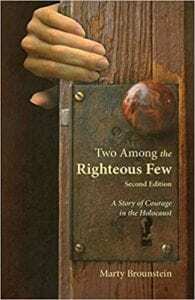 Two Among the Righteous Few: A Story of Courage in the Holocaust is a true story of a Christian couple that answered their definite yes to three of those questions in a time period when most said, “No.” They are true heroes. During one of my presentations, that comes up from the audience sometimes. They relate these things to the present day. It’s a fascinating way for us to take lessons from history, apply it to how we’re reacting to what we see in the news and decide which side of the right thing to do we are on and what we can do to take action. Any last thoughts you want to leave us with, Marty, about your book or how we can be more courageous or compassionate? 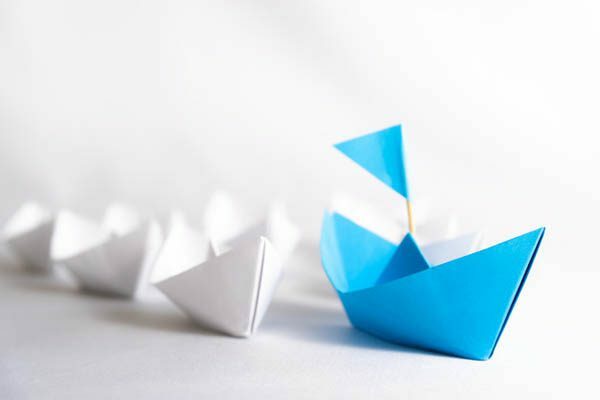 If you take all of that seriously and we’ll talk in the context of wanting to do your job, especially if you’re a leader in your role, managed positions are viewed as leadership roles, although not all people in those roles act as leaders. Every day, if I approach my job, I’m here to make a positive difference whether I’m in sales, service, whatever role you’re tearing, you then have the right focus. Then you’re going to be always thinking about how do I best work with people? How do I best treat people? How do I best get my job done to get the results that I need? It’s all about making a positive difference and that’s what this story has all been about. How can people follow you on social media? Thank, God, for your inspiration, courage and compassion to take this message out into the world. Thanks, Marty, for being on the show. Thank you so much for having me, John.